Join one of California's highest achieving schools! Thank you for your interest in The Accelerated Achievement Academy (AAA). AAA is a 4th‑8th grade school that embraces a rigorous academic curriculum, builds Project Based Learning units, puts students in charge of their student conferences and is recognized as one of the highest achieving and progressive schools in California (AAA home page). In keeping with the best research and progressive educational practices, AAA limits homework time (not including special projects or individual supplemental study) to 90 minutes daily. AAA educators believe homework is practice for skills taught/ learned in the classroom and homework should not prevent AAA students from taking advantage of the myriad of extra curricular experiences our community offers. 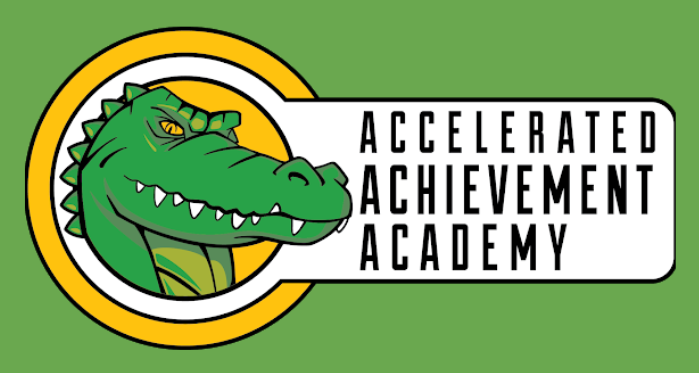 The Accelerated Achievement Academy prepares each high achieving student for high school and leadership in a rapidly evolving world. Our students develop strong critical thinking and collaboration skills, communicate well with others and contribute in our community. Project Based Learning (PBL) trained teachers empower students to solve real-world problems and answer complex questions. Student learning is original, researched, reasoned and publicly shared. The AAA Parent Club (APC) believes in and strongly supports enrichment activities. AAA students go on 11 field trips and visit 5 universities before going to High School. After school sports are also provided in grades 6th‑8th. ** in the 3rd, 4th or 5th grade earn 3’s and 4’s on their standards based report cards. Middle school applicants should have an overall GPA between 3.0‑ 4.0. ** have CAASPP scores in the “Meeting or Exceeding Standard” range (or equivalent achievement in other state or nationally normed examinations). ** have a history of excellent attendance and citizenship with minimal discipline. ** a completed application packet (personal essay, CAASPP scores, discipline and attendance records). ** completed Student Recommendation forms. Students in the Academy are also required to complete community service hours (15 hours for grades 4th‑5th and 20 hours for grades 6th‑8th). Student families are also required to serve 20 volunteer hours. AAA is a Project Based Learning (PBL) School!